A powerful explosion apparently caused by a gas leak blew apart a Paris bakery on Saturday and devastated the street it was on, killing three people and injuring dozens as it blasted out windows and overturned nearby cars, French authorities said. Witnesses described the sound of the explosion as deafening. 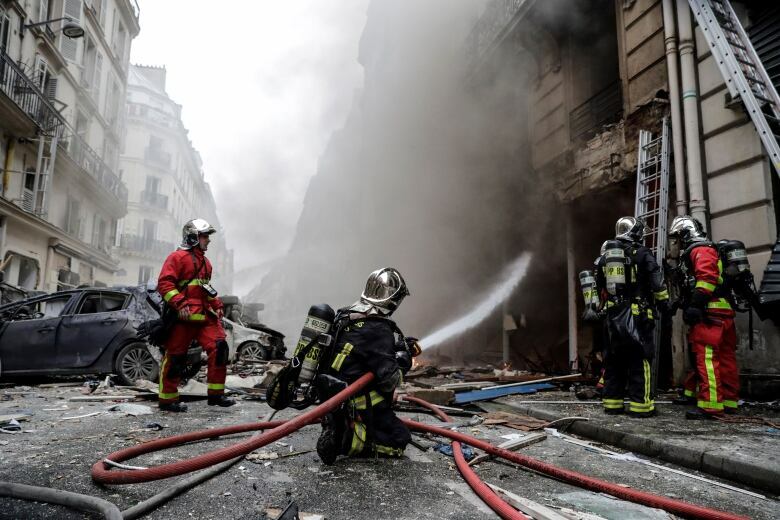 Firefighters pulled injured victims out from broken windows and helped residents and tourists evacuate the area as a fire raged and smoke billowed over Rue de Trevise in the 9th arrondissement of north-central Paris. Paris prosecutor Ré​​my Heitz said the cause of the blast appeared to be an accidental gas leak. He said Paris firefighters were already at the scene to investigate a suspected gas leak at the bakery when the explosion happened about 9 a.m.
Spanish Foreign Minister Josep Borrell tweeted: "I deeply regret the death of three people after the explosion in central Paris, including a Spanish woman." He shared condolences to her relatives and "wishes for a quick recovery to the other injured Spaniard." 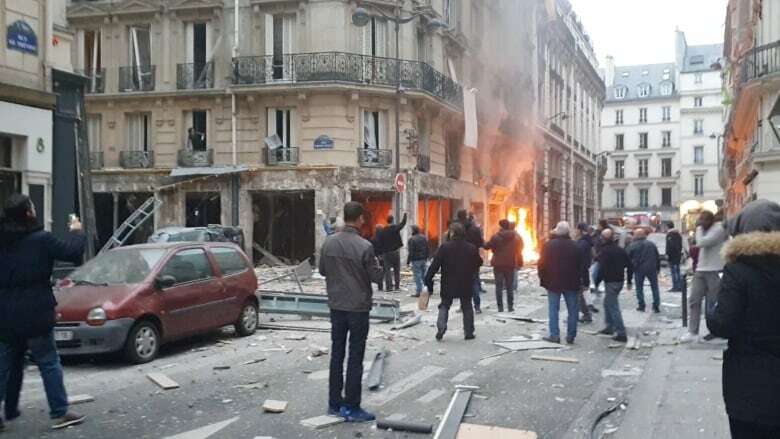 The Spanish newspaper El Pais reported the woman was a tourist staying in a hotel near the bakery, which is around the corner from the Folies-Bergè​re theatre and not far from the Paris shopping district that includes the famed headquarters of Gale​ries Lafayette. Paris Mayor Anne Hidalgo extended a "message of affection and solidarity" to the victims. 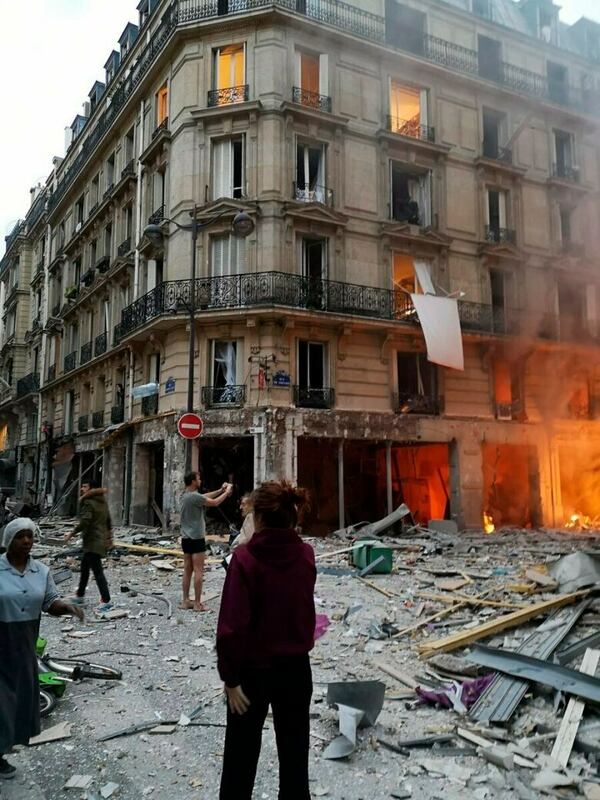 She said many residents and tourists had been taken away from neighbouring buildings and hotels and Paris authorities were helping to provide them temporary accommodations. Authorities said around 200 firefighters and police were involved in the operation. A helicopter extracted the wounded. Silver-helmeted firefighters and red firetrucks filled the street and inspected adjoining courtyards. "Thank God, I'm OK," he said.